/Themes / Elitepress / How to setup contact page? You can display your contact details on the contact page. Contact details are an essential part of the website. Your visitor can find your location and contact details easily. You can add further information using Appearance Customize. 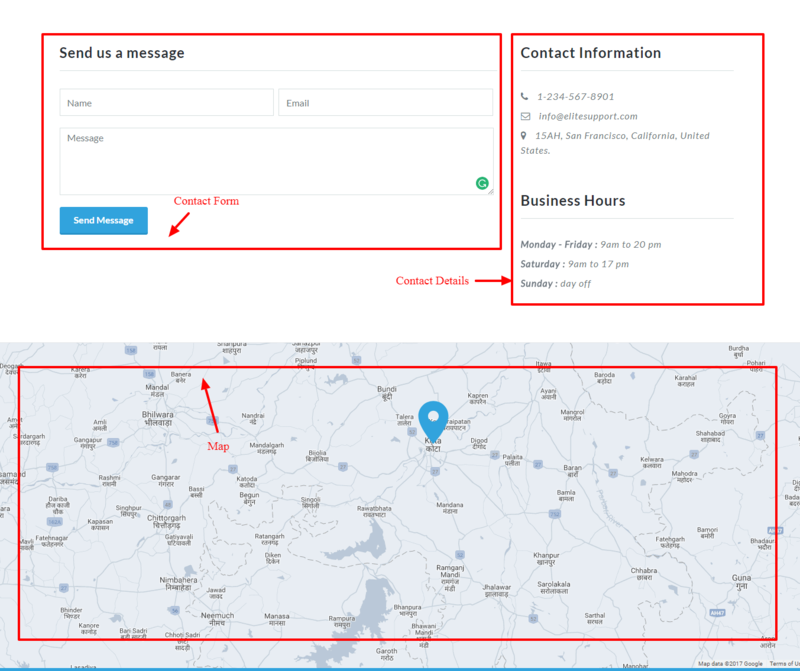 Now I will explain to you how to manage contact page details like Google Map, and contact info. Refer the screenshot. 1. How to add contact page details? Here you can add contact details to contact page using WBR: Contact Widget. You need to drag this widget in Contact Sidebar Widget Area. Refer the screenshot.